Humphrey Bogart was an actor whose on-screen presence is what will always be remembered. However, there are certain facts, nuances we have never known about him. Constantine Santas’ book “The Essential Humphrey Bogart” brings a close-up look to Humphrey Bogart’s persona, which even for me as a huge fan of him, was quite intriguing. Because, how often it happens that we go deep into a particular actor’s role and analyse its core reason of portraying this or that character? Believe it or not, but after reading Santas’ book, I discovered a new Humphrey Bogart, which strangely, was unknown to me before. Many of us consider Bogart as one of the leading stars of Hollywood’s beautiful and fascinating era. But how much do we know about him, or why he became an actor? Why did Bogart decided to play a laconic character, tough, patriotic man, who would never stick his neck out for anybody? It’s absolutely astonishing, but page after page, you will unlock many interesting facts about Bogart that will help you to watch his films with a different perspective. Santas goes far and beyond by presenting his own analysis of thirty-eight Bogart’s films that have already became timeless classics. Do you remember “Sabrina” with incomparable Audrey Hepburn, or “To Have and Have Not”? If you are aware of these films, then you will certainly appreciate Santas’ review, and little, but very important details he provided for this particular titles. The biggest surprise that you might find (at least, I had no idea about it) in the book is that “The Big Sleep”, apparently, had two different versions. If you ever had the chance to see this film, then you know, the chemistry Bacall-Bogart shared on the screen was so infectious that it passes through the silver screen. In conclusion, Santas’ book is a great and extremely useful guide to the best Bogart’s titles, and its complete explanation. 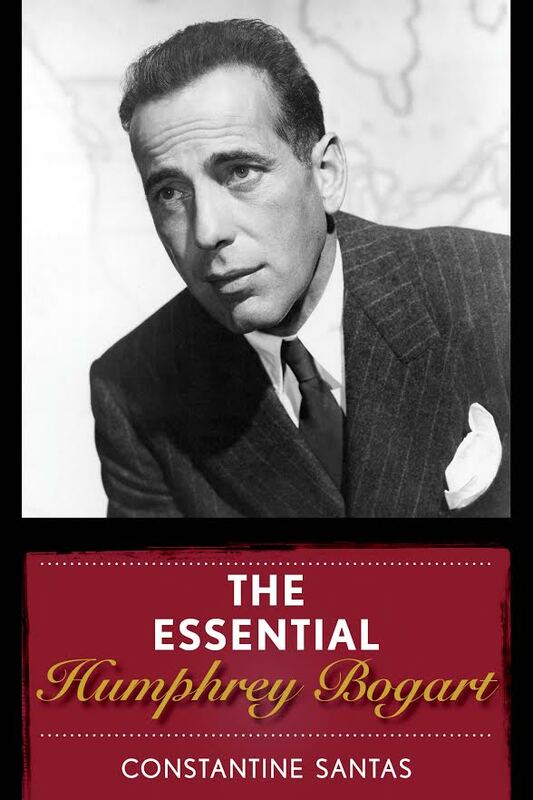 After owning this book, you will probably forget about IMDB or google, as it has everything you need to know about Bogart, his personal life, films, the approach he needed to take that made his screen look unforgettable. Bogart certainly had a unique charisma that allowed him to outlive his time and become an ultimate Hollywood star, as well as Santas’ book that you’ll soon starting using as “Bogartclopedia”. The book (hardcover and electronic) can be ordered at www.rowman.com. Examines Bogart’s filmography in greater depth than just his classics, including films like To Have and Have Not, In a Lonely Place, The Caine Mutiny, Sabrina, Black Legion, High Sierra, and more. Includes pertinent details such as cast and crew, technical specs, and DVD/Blu-ray availability. Ranks each film on a 1 to 5 star scale, helping the reader to select the very best of Bogart’s films.